One of the greatest indicators of a good equipment investment is when you feel you get your money’s worth. 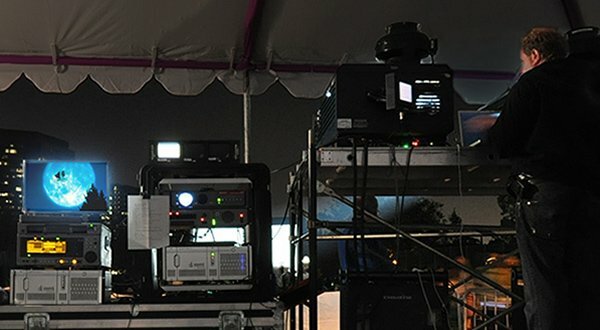 With a single set of speakers, for example, technicians can play a full range of sound: film, music, public speaking and even advertising for large events. While we are the foremost experts in outdoor movies, many of our offerings remain useful in other practical scenarios. 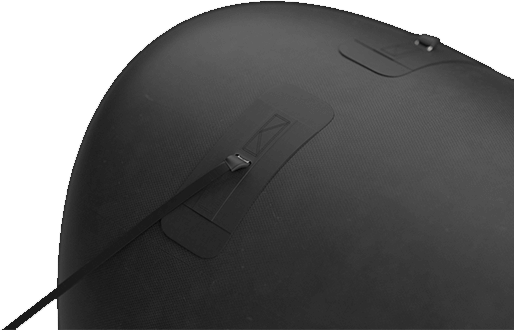 A company boardroom, a college lecture hall, a sports stadium… The possibilities are endless, and the equipment is yours to custom-fit to any purpose. Below are just three options that offer great flexibility for the price! 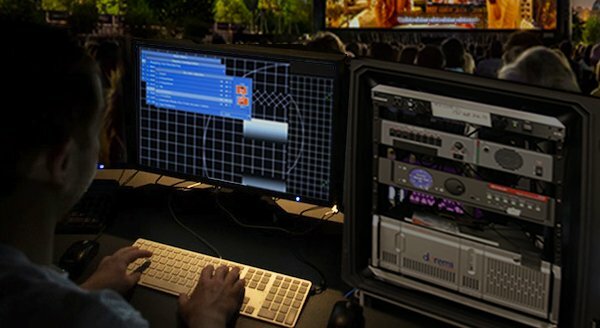 iSeries Ultimate: An upgrade to our powerful, future-forward iSeries control console, the iSeries Ultimate has the flexibility to do it all. Media playback can be easily streamed or stored on the included 13’ MacBook Air, or (thanks to the attached Blu-ray Disc player), physical media is never out of the question. 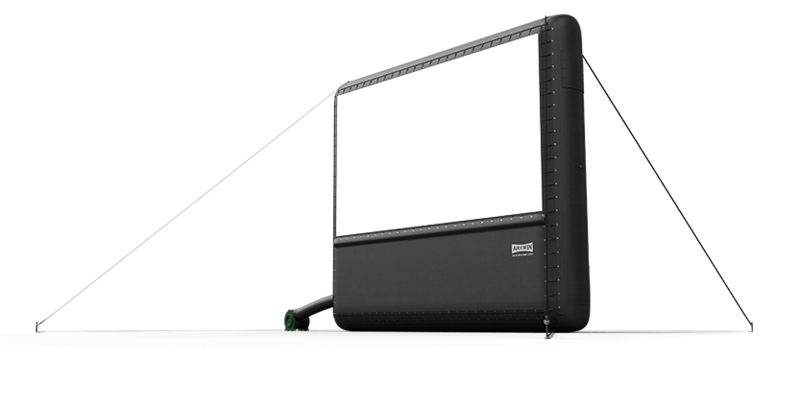 AIRSCREEN® Package: You truly can have it all with an AIRSCREEN® Outdoor Movie Package. These packages are designed to work perfectly in sync when used together – lighting, sound, control… But every piece of equipment can be used standalone, too. That projector? If you need to, you can install it in a conference room. The speakers? Feel free to use it on another big project! Whether you find yourself using the package together as one whole piece, or separated for mixed use, you will always save money by bundling. 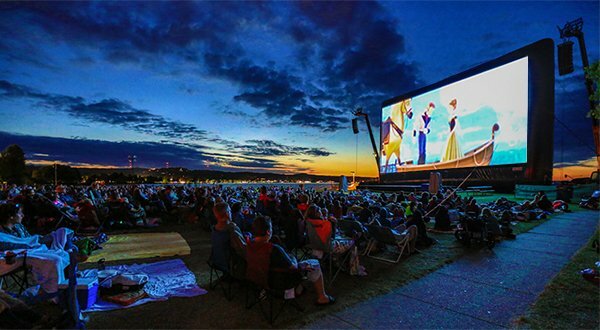 Blower Silencing Case: Outdoor movies are not only our namesake, they’re our main interest and expertise! 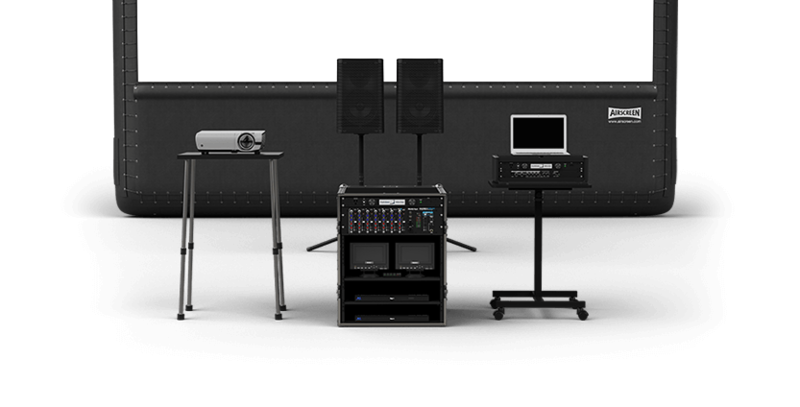 That said, many shows do require an indoor setting, with some taking advantage of their AIRSCREEN® projection surface. An AIRSCREEN® blower has the habit of being noisy when sitting on their own – so we recommend the blower silencing case to mitigate it. Outside, you may hardly notice! But for any occasion where you hear the blower compete with your speakers? The blower silencing case is a must. 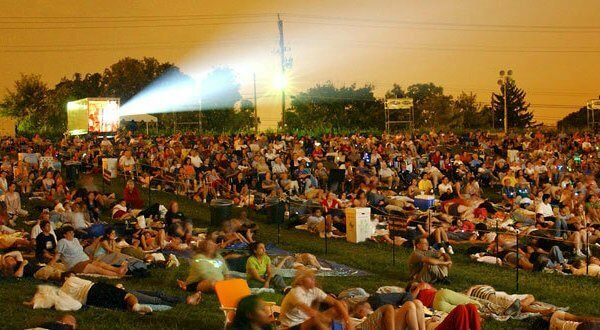 Regardless of your technical know-how, we welcome you to contact us for the best recommendations on outdoor movie technology and prices.